Will Mesa Verde’s piñon-juniper forests return? 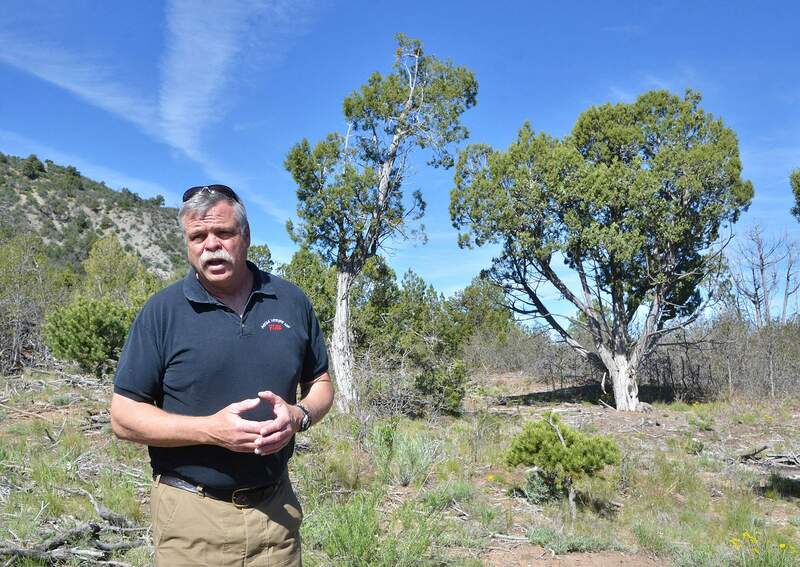 Steve Underwood, fire manager at Mesa Verde National Park, discusses an area of the park that hasn’t burned. Carbon dating of sediment deposits found that at one time Mesa Verde supported ponderosa and Douglas fir in wetter years and was absent of piñon-juniper in drier years. 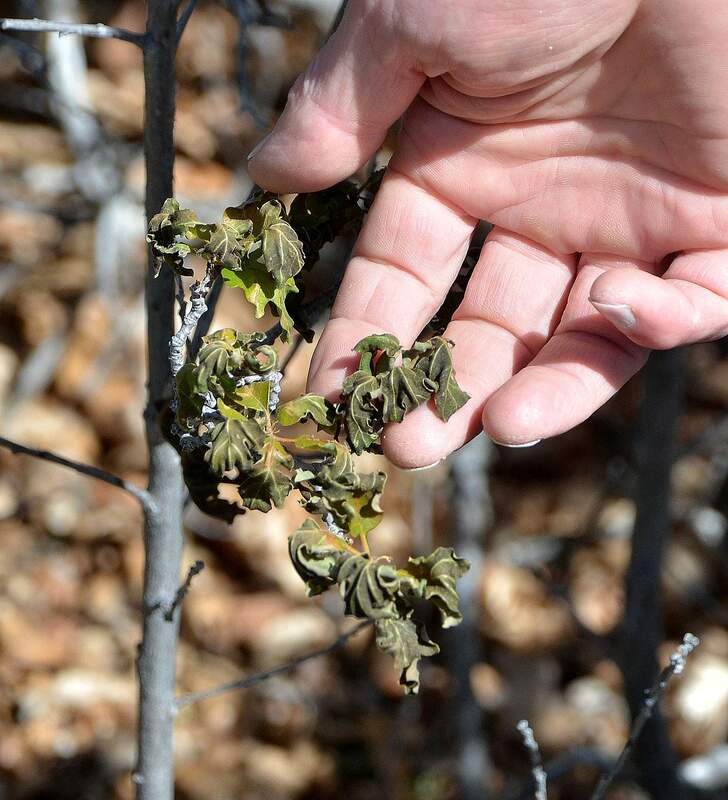 Oak brush leaves killed by frost can become fuel for fires. The Long Mesa Fire was one of four wildfires in the early 2000s that burned about 24,000 acres in Mesa Verde. 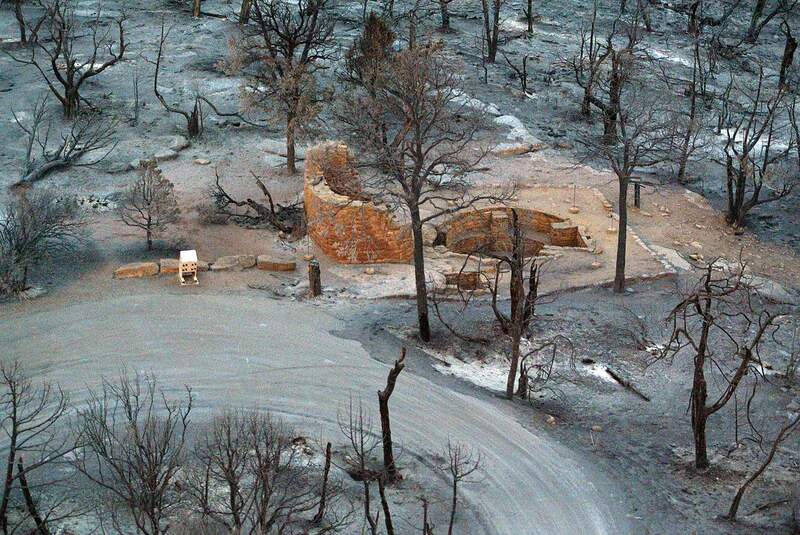 The Long Mesa Fire burned 2,600 acres in Mesa Verde Park in July 2002. More than a decade later, a multitude of factors seem to be inhibiting piñon-juniper regeneration in the burned areas. 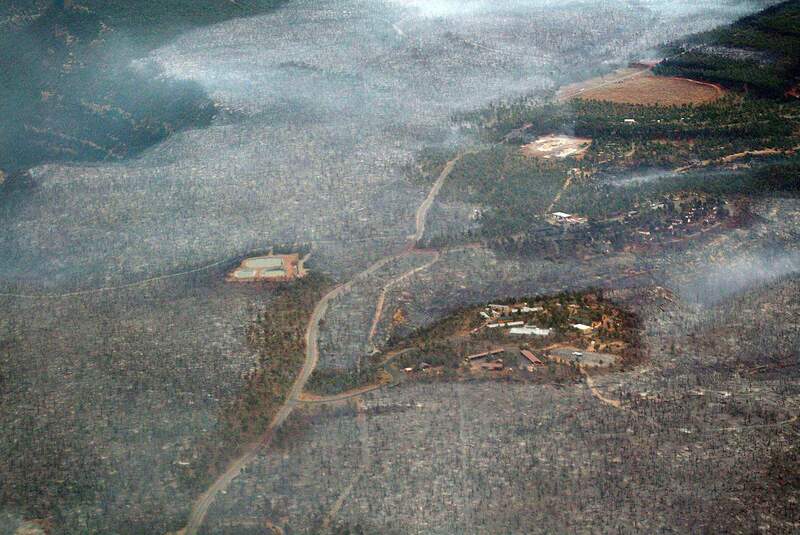 The Long Mesa Fire burns in Mesa Verde Park in July 2002. More than a decade later, a multitude of factors seem to be inhibiting piñon-juniper regeneration in the burned areas. From 2000 to 2003, a series of wildfires ripped through Mesa Verde National Park, burning about 24,000-acres – nearly half of the park’s old growth forest. Now, almost two decades later, park managers and biologists are concerned that the piñon-juniper woodland is showing virtually no signs of growing back, posing the tough question: Will Mesa Verde’s iconic forests ever be the same? Mesa Verde is both a national park and World Heritage site, home to more than 4,300 archaeological sites of the ancestral Puebloan people, and most notably known for the 600 cliff dwellings within the park’s 52,485-acre boundary. Settlement of the Mesa Verde region, which spans parts of Colorado, New Mexico and Utah, dates back to 9,500 B.C. But the height of Mesa Verde’s civilization is considered to have occurred from about 900 to 1280 A.D., with an estimated 5,000 to 8,000 people living in the area – more than today’s population. However, by 1285 A.D., the last inhabitants left Mesa Verde, probably because of a period of prolonged drought, for other locations in Arizona and New Mexico, where their descendants live today. Yet as researchers rediscovered Mesa Verde in the late 19th century, leading to a national park designation in 1906, it became abundantly clear the original inhabitants of the area used the piñon-juniper woodland in ingenious ways. “The people that lived here learned to be part of the ecosystem, part of woodland,” San Miguel said. Ancestral Puebloans not only harvested wood to endure harsh winters, build structures and make tools, they also relied heavily on the protein-rich piñon nuts as a staple of their diet. A vulnerable forestIn the mid-to-late 1990s, the invasive Ips beetle found its way into Mesa Verde and wiped out the old-growth piñon in its path, the oldest of which ranged from 500 to 1,000 years old. 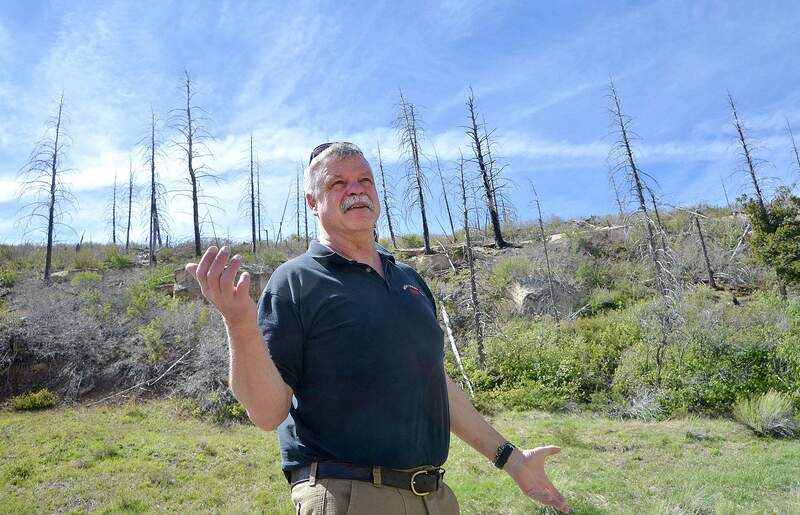 Then, a severe drought in the 1990s caused perfect fire conditions – dead, dry trees – so when a lightning strike hit private property near the entrance of Mesa Verde at about 1:30 p.m. July 20, 2000, it wasn’t long before a fire spread, ultimately consuming 19,607 acres within the park. Though this fire, called the Bircher Fire, consumed the greatest amount of forest, several other fires in the ensuing years, notably the Pony and Long Mesa fires, also took their toll in the park. Both were also caused by lightning strikes. Piñon and juniper woodlands thrive in high-elevation deserts, usually between 4,500 to 7,500 feet. And while the hardy plants can survive a mere 7 to 25 inches of rain a year, they are terribly ill equipped to deal with wildfire. Yet with the introduction of Western civilization in the American Southwest, and the impacts associated with climate change, such as drier years and an increased risk of wildfire, the new reality is that piñon-juniper woodlands may not be adapted for future survival. Conditions inhibit regrowthEven in perfect natural conditions, piñon and junipers take a long, long time to grow. Piñon, for instance, don’t produce germinating seeds until they reach 75 years in age. And even then, the plants only produce seeds every seven to eight years, requiring non-drought conditions and proper dispersing by animals. According to National Park Service data, piñon-juniper woodlands cover as much as 15 percent of land in Arizona, Colorado, Nevada, New Mexico and Utah. 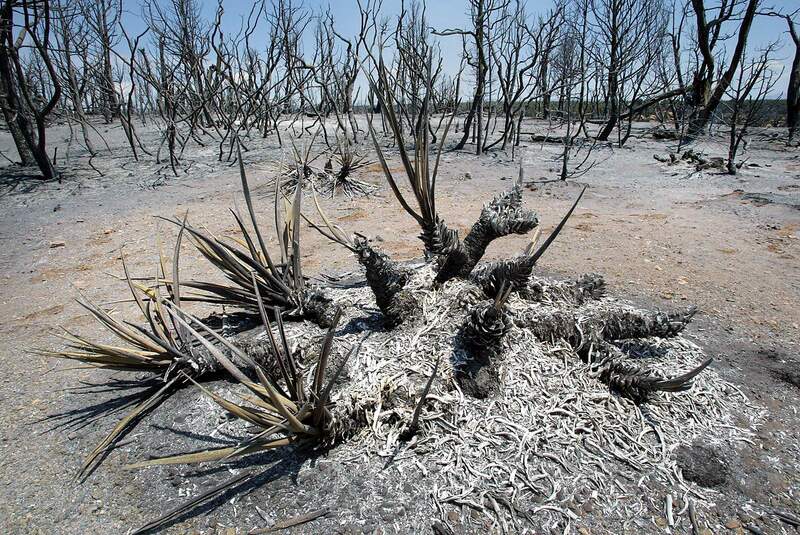 Yet now a multitude of factors seem to be inhibiting piñon-juniper regeneration in the burned areas of Mesa Verde. Warmer and drier conditions, associated with the impacts of climate change, and therefore increased fire risk, seem to be directly affecting the woodland’s regrowth, researchers said. And then enter issues with more competitive Gambel oak and invasive species, such as cheat grass, and the question surfaces whether the piñon-junipers can ever gain a stronghold again. The issue is not specific to Mesa Verde. At Bandelier National Monument, another ancestral Puebloan site in New Mexico, a series of high-severity wildfires consumed the predominately ponderosa forests, which are now overtaken by a variety of shrubs. Last year, the Los Alamos National Laboratory released a study that suggested piñon-junipers could be wiped out of the American Southwest by the end of this century as a result of climate change. Rondeau said models of different scenarios of piñon-juniper habitat in 2035 and 2065 found that while there may be some refuges for the woodland, suitable habitat will significantly diminish over time. “If we can get our carbon emissions down and … keep (these forests) from burning, maybe our grandkids will be able to have piñon here,” Rondeau said. San Miguel said there are indications in the park that piñon-junipers can grow back. A 200-acre area known as the Glades that burned around 1700 or so does have a patch of young piñon-juniper trees, about 200 years old. But if global temperatures continue to rise at their current pace and increase 5 to 7 degrees by the end of this century as scientists predict, San Miguel said, and fires continue to plague the arid desert landscape, it may be time to rethink what Mesa Verde will look like. 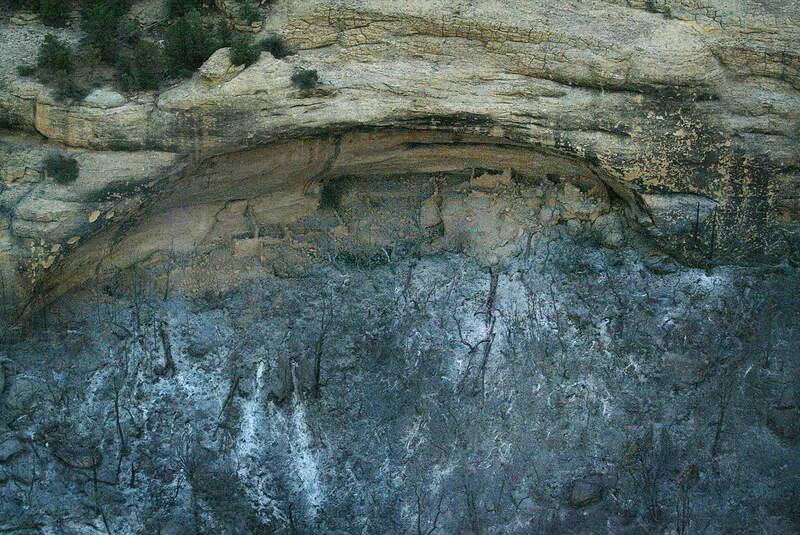 Carbon dating conducted a few years ago in the park of sediment deposits went back tens of thousands of years, finding that Mesa Verde at one time supported ponderosa and Douglas fir in wetter years, and was absent of piñon-juniper in drier years. These are indications that Mesa Verde’s forests have changed over time, San Miguel said. But human impacts are creating a complication of unknowns in the process.